Remember the old joke about PhD meaning “piled higher and deeper”? It now refers to the massive debt that students accumulate from obtaining higher degrees and the ensuing game of financial catch-up that they have to play for years. 37 million current and former students in the U.S. are now burdened with a total of $1 trillion in student debt, and they are finding it difficult to reach the lifestyle they dreamed of. William Elliott III, director of the Assets and Education Initiative at the University of Kansas, commented, “If you graduate with a B.A. or doctorate and you get the same job at the same place, you make the same amount of money. But that money will actually mean less to you in the sense of accumulating assets in the long term.” Elliot coauthored a report that noted that the median 2009 net worth for a household that didn’t owe money was $117,700, while a household’s net worth with outstanding student debt was $42,800. Graduates who owe no money can begin building equity and start investing, while indebted graduates are laden with debts they have to pay off as well as the interest on their loans. 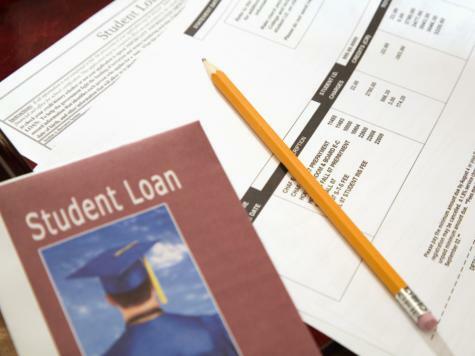 The Federal Reserve Bank of New York reported that student debt is now greater than credit card or auto loan debt. From 2004 to 2012 the number of students borrowing and the amount they borrowed skyrocketed 70%. 12 million students get student loans each year, as reported by the Almanac of Higher Education. The average four-year graduate starts his or her post-college career $26,000 to $29,000 in arrears because of student loans. There are advantages to having a college degree; graduates working full-time earn an average of $17,500 more than those without a college diploma, according to the Pew Research Center.